Blanket, Soup, Tea! 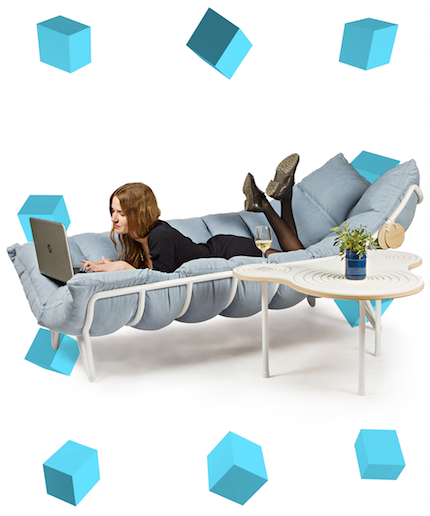 You can now add the The Inchworm Chair to the list of necessities for those cold’s nights where you’re cuddling up and binging Netflix. Did I see cuddle? I meant, cradle, and that’s exactly what this chaired designed by a student in Moscow will do to you. It’s minimalist design consists of 2 parts; a metal spine and soft cushion.